Living with a disability can be a challenge, but thanks to federal and state laws – your disability does not have to stand in the way of getting a higher education. Under the Americans with Disabilities Act of 1990, which was amended (and expanded) in 2008 through the ADA Amendments Act of 2008 (ADAAA), students in higher education enjoy protections against discrimination in higher education based on their disability, regardless of whether they attend a public or a private college. Furthermore, the law also states that students with disabilities must be provided with reasonable accommodations to help them learn most effectively; failure to do that is considered a violation under the law. Title II of the Americans with Disabilities Act prohibits discrimination against students with disabilities in any public college or university. Title III of the Americans with Disabilities Act prohibits discrimination against students with disabilities in any private college or university. However, it is important to note that the ADA is not applicable to private colleges or universities that are religiously controlled. If a student attends a private colleges that is controlled by a religion entity, does this mean that she or he is not protected against disability discrimination? In short, the answer is no—there is another federal law that prohibits discrimination in these instances. In such cases, Section 504 of the Rehabilitation Act of 1973 can protect students with disabilities. This law protects students with disabilities in any program or school that receives federal assistance from the U.S. Department of Education. The law specifically states: “No otherwise qualified individual with a disability in the United States . . . shall, solely by reason of her or his disability, be excluded from the participation in, be denied the benefits of, or be subjected to discrimination under any program or activity receiving federal financial assistance.” Given that even private religious colleges receive federal funding (through federal student aid, e.g. ), such schools are prohibited from discriminating against students with disabilities under Section 504. 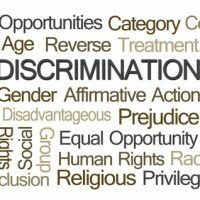 If you have questions about discrimination or believe your rights have been violated, a Florida discrimination lawyer can assist you. Contact Scott • Wagner and Associates today.